The Dow closed 799 points or 3.1 percent lower at 25,027. Shares of major U.S. banks also took a dive with Citigroup, Morgan Stanley and Capital One bottoming out at 52-week lows. Toll Brothers also gave weaker-than-expected guidance for 2019, citing a slowing housing market. The uncertainty over the global economy weighed down all of the indices. The tech-heavy NASDAQ ended the day 3.8 percent or 283 points lower at 7,158. The S&P 500 index closed at 2,700, down 90 points or 3.24 percent. “Violent volatility resumed as tumbling bond yields, a flattening yield curve and lingering questions about the G20 US-China trade truce combined to stoke increasing recession fears. While US growth is still holding up OK, worries are increasing about the overseas economic outlook. 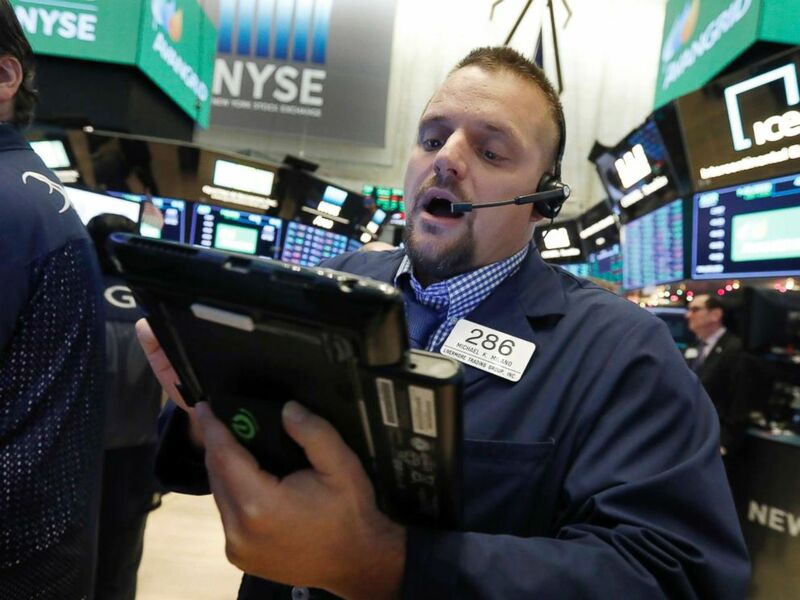 All this macro-economic uncertainty is clouding the 2019 earnings outlook, leading to increasingly violent equity swings as investors try to handicap what 2019 will look like," Alec Young, managing director of Global Markets Research, FTSE Russell, told ABC News. "Cyclical sectors like technology, financials and industrials led markets lower, while defensive areas like utilities and real estate weathered the storm best. Until confidence in the global economy improves and bond yields stabilize, market psychology is likely to remain fragile," Young added. Trader Michael Milano works on the floor of the New York Stock Exchange, Nov. 28, 2018. Over the weekend, Trump had boasted that he had reached a deal with China's President Xi Jinping, although details remained unclear into late Tuesday. Senior administration officials also had trouble articulating any specifics about the deal in press briefings. The president tweeted optimistically about the chances for a deal with China, writing "President Xi and I want this deal to happen, and it probably will." But if a deal doesn't happen, he reminds his followers, "I am a Tariff Man." "MAKE AMERICA RICH AGAIN," Trump tweeted. However, traders across the board seemed to doubt progress on the trade talks with China.